Bad & Heiztechnik Kindermann GmbH. 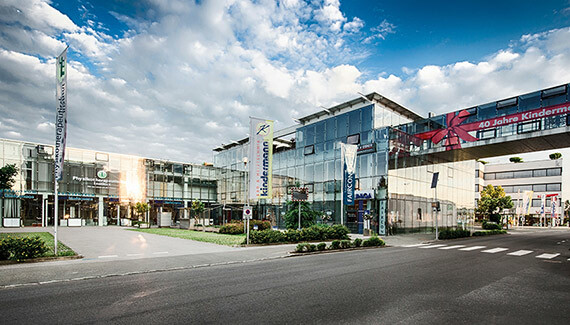 The south Styrian company Bad & Heiztechnik KINDERMANN GmbH, a family business in the second generation, founded in 1974 by Johann Kindermann on 16m² only, ranks today among the most innovative and largest installation companies in Styria. The company, managed by engineer Alexander Kindermann since 2001, represents a clear corporate structure, has 120 highly trained employees who realize visions with their strong will, implement innovative ideas and strive to surpass their own achievements again and again. These requirements ensure that the company has been able to satisfy thousands of customers in the last 40 years. In 1999 the Bad & Heiztechnik KINDERMANN GmbH was awarded with the Styrian provincial Coat of Arms for special contribution for the province of Styria. In 2016 the company is awarded with the Austrian National Coat of Arms as a financially stable and innovative company. Construction of the first own business premises of 900m². 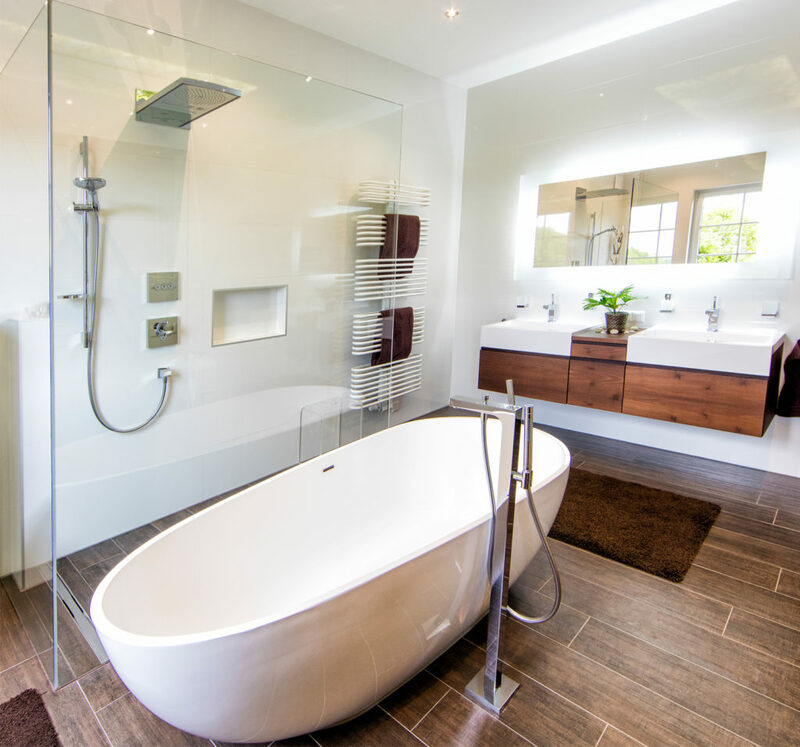 The company founded by Johann Kindermann on 16m². Conversion of a former window production into a modern office and commercial complex. 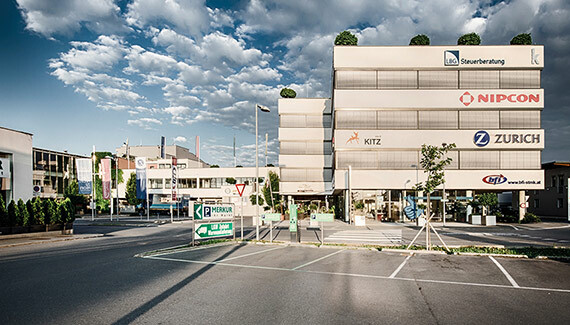 Construction and opening of the multifunctional Kindermann Center with 6,000 m². Awarding with the Styrian Coat of Arms. Eng. 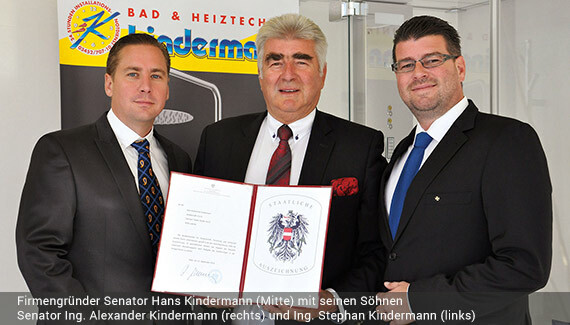 Alexander Kindermann becomes managing director of Bad & Heiztechnik Kindermann. Extension of the Kindermann Center and opening of the new building. 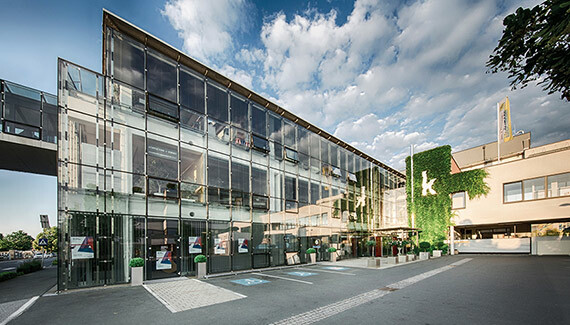 A further extension of 6,000 m² to the Kindermann Center is opened. The company has 100 employees. 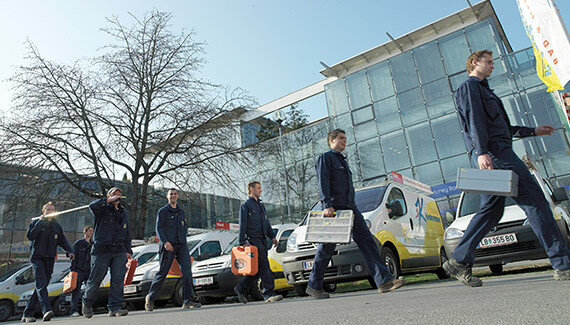 35 assembly teams operate for clients in Styrian and Vienna areas. A further extension is commissioned. Award with the Austrian National Coat of Arms. During the two years, the Kindermann Center was extended by 2 additional buildings. The center has a leasable area of 31,000 m2 and currently houses 55 companies and 20 medical practices, where 800 employees find a job. We are proud to have received this award for our innovative thinking and our tireless work. 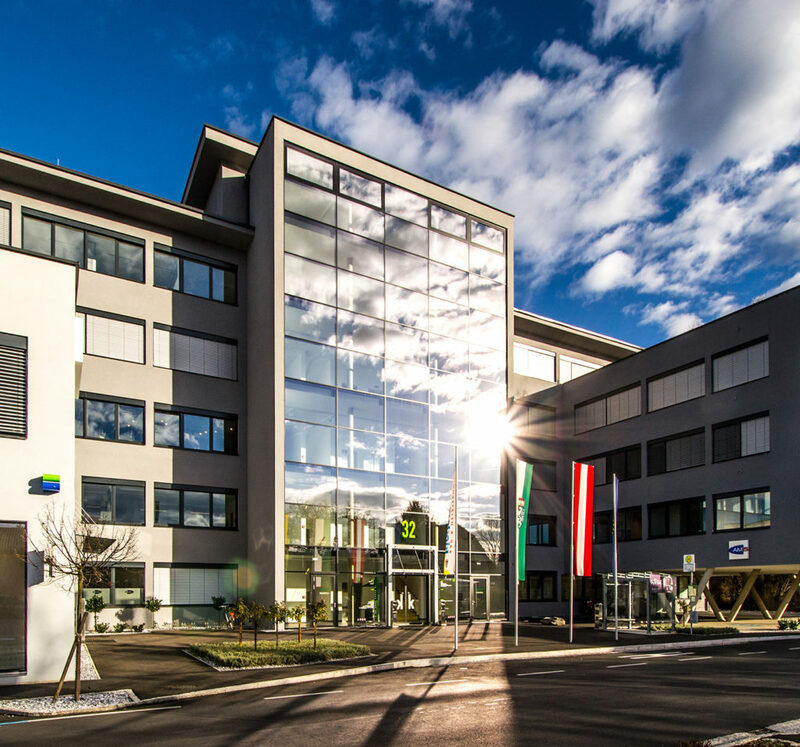 For us, the Austrian National Coat of Arms is a republic seal of quality, a recognition for our activity in the installation industry of more than 40 years and another opportunity to thank our employees – loyal to the company and striving uncompromisingly to meet the wishes of every single customer.